People are often worried about offending people when they visit Morocco. I think this is a common fear when we travel somewhere new, especially if the culture is very different from what we’re used to. Often times what might WE might think offends locals is actually not offensive at all. Truthfully very few Moroccan people would ever say anything or act offended if you made a slip. If however, you simply want to avoid that discomfort, I put together this list of “faux pas’” to avoid when you visit Morocco. I remember noticing tourists bargaining so hard on some purchases that it actually was insulting and impractical for the shop owners to sell at those prices. There is a culture of bargaining in Morocco and for those of us who come from countries where that does not exist, we can be confused by how it works. It’s also pretty common that sellers will set higher prices for tourists. Yes, you should bargain, it’s part of the culture but do so with respect and understanding. You want to pay 100 dirham for a handmade leather bag? That’s just rude. Bargaining in such a way is not clever. It’s insulting. I see a lot of tourists acting like they’re always on the lookout for scams and being taken advantage of in every single interaction. Not everyone is out to get you! Often times people do genuinely just want to be nice. For example I was recently on the train from Casablanca to Marrakech by myself with a suitcase, bag and purse. The gentlemen, who fit every stereotype of “the bad Muslim guy” on TV and in movies couldn’t do enough to be kind. He helped me with my bags, checked if it was alright before he opened the window shade, and offered to share his lunch not only with me but with two other travelers nearby. Genuine Moroccan kindness and hospitality. It’s a big time faux pass to respond with suspicion to every small act of kindness and hospitality! A lot of people plan their visit to Morocco during Ramadan – often times they have no idea it’s Ramadan. Whether you decide to come during this month or not it’s good to do a little research and find out what Ramadan is and what it means for your visit. You shouldn’t assume that things will be business as usual. Many schedules change, activities are altered, things are closed, and people tend to be a little more on edge. Do due diligence before you come so that you are prepared. It’s not singing, it’s the call to prayer (adhan) and it happens 5 times a day; the first one is quite early. If you’re staying in the medina of any city you’re going to hear it. There is a mosque on almost every corner so it’s unlikely you will find somewhere to stay that you won’t hear the adhan – that’s the point! Best advice? Embrace it! After a few days you probably won’t even notice it. 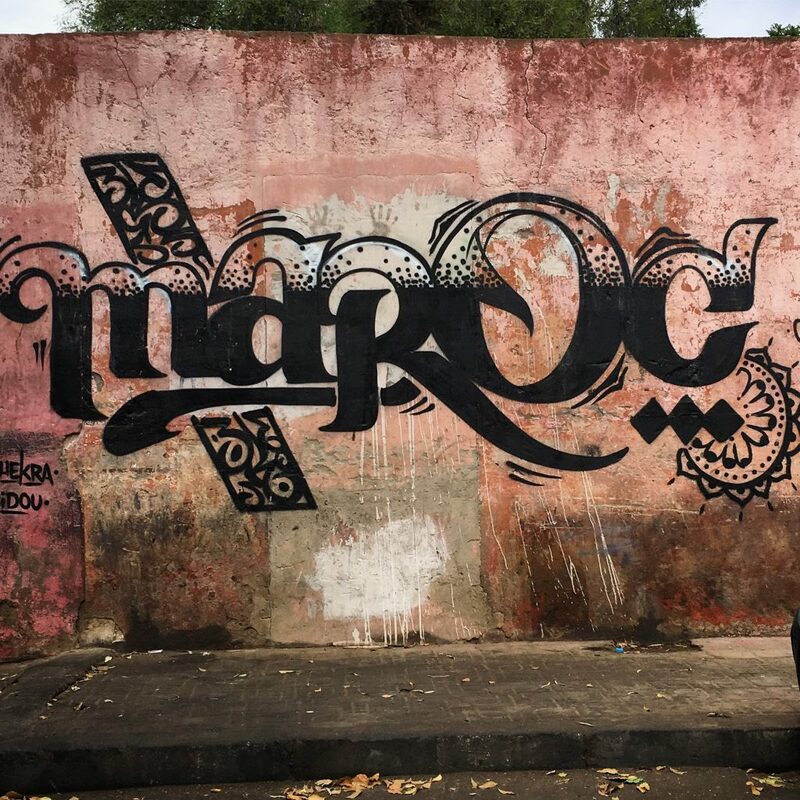 Moroccans are very loving – in private. It’s very uncommon and frowned on to show a lot of affection in public. Holding hands in Morocco is fine. A hug here or there, a stolen kiss all fine in most situations. But, making out in public – absolutely not ok. You’ll certainly get some clicking tongues and sideways looks. The same can be said for hands wandering anywhere on each other’s body. The more rural you are the more frowned on public displays of affection are. Best advice? Save your amore for behind closed doors. I have been on the receiving end of snap happy tourists. You will see things that you may not have ever seen before. People DO dress differently, and maybe even act differently. It’s never ok to take a picture of someone without their permission. This is especially true of women who are wearing a veil and men wearing beards. People who are more religious tend to not want photographs taken. It’s also really important for visitors to know it is not ok to take pictures of police officers, military personnel or palaces. Morocco is very serious when it comes to national security and these are major no-no’s. If a police officer sees you take a picture of him/her don’t be surprised if they come to you and request you immediately delete the image. If you’re not sure you can take a picture, ask. Drones are illegal in Morocco. Period. Even small toy drones are illegal and the authorities are very serious. We recently had some guests who had brought a camera drone to take pictures. They were flying it and the police showed up immediately. The drone was taken and the man flying it was promptly escorted to the police station where he was held all day. They released him for the night, but held his passport so he would return the next day. He had to go to court, was heavily fined, and had the drone confiscated. P.S. No head scarf needed! Truth: You can where whatever you want in Morocco, there’s no “Morocco dress code” – but that doesn’t mean you should. You certainly do not need to dress like locals, nor should you, but be mindful of local norms. Women – booty shorts, cleavage bearing or crop tops and see through items are not a great idea. If you do choose to dress more revealing please don’t wear a scarf on your head. This is more disrespectful than simply wearing nothing. Men, wear a shirt and longer shorts; aside from young or teenage boys you will rarely see Moroccan men wearing a tank top or shorter, sport style shorts. Not sure what to wear or pack? I’ve got a bunch of posts that can help! If they speak English they’ll switch for you. If they don’t, they’ll say no and you can move on! One other little note speaking louder or enunciating doesn’t help someone who doesn’t speak English it just comes off as rude! It also would be wrong to assume everyone speaks French (they don’t!) One of the comments that I cringe most often when I hear is, “but you live in Morocco and you don’t speak French? !” Yes, many people do speak French but Arabic and the Amazigh (Berber) languages are the languages spoken by most everyone. Want to learn more? Here are a few words that can help you get started! In Morocco it’s really normal for two male friends to hold hands or two women friends to do the same. It has zero meaning sexually. It’s really just a sign of friendship. Seeing two middle-aged male cops walking through an office building holding hands really changes ones perspective on gender relations! It’s important to realize that Morocco is a large country with over 30 million people. What is and isn’t ok will vary a lot depending on where you are and the company you are with. I do hope that these “mistakes” are something you keep in mind when you visit but also be sure to take clues from the people around you or ask if you’re unsure about anything! I am so excited to be planning my second trip to this wondrous country. My first trip was a women only tour with male driver and female guide. Except for being to busy without enough down time it was perfect. OK except for the two women (the blondes) who dressed inappropriately and bargained rudely and wanted martinis. This time my husband and another couple will be traveling. I love your posts and apologize for the long lead in. My question. In hotels the are sometimes pools. Would a conservative one piece suit and coverup robe be OK? I’d feel plain silly in a hijab suit. But after the Blondes I want to be especially careful. Great article, Amanda! Very useful. Thanks! I read Morocco is primarily a cash society. Is this correct. Should I bring a sufficient amount of dirhams with me?? This is true – it’s actually really hard to get dirham outside the country (Morocco is a closed currency) but if you bring cash from home and/or use your ATM card it’s easy to get local currency. I want to ask, is it true that I will need some sort of a licence (or will my male moroccan friend) to walk with each other in public and eat together at cafes/ restaurants? We are friends. I’m going to Morocco next week but I have just been informed about this by my Moroccan friend and I am so shocked to know that we need a licence just as friends walking together? I planned to take the train and bus from city to city with this friend, so does that mean he cannot accompany me travelling too? This might be too late. But yes you can get a paper from the local police station saying this. It’s 50/50 that someone would stop you/him and say anything but it’s always a good idea to have just in case. The law is there to protect tourists from people who would take advantage and act as a “fake guide”. This is so helpful, insightful and clever. Thanks. i am now in casablanca working remotely but when i call the US i do not want my customers to know i am located outside of the US. i do consulting and talk a lot on the phone. I am searching for a way to call the US from Morocco and block my number selectivly, like you can do in the us (*67 prefix). do any of the telephone companies have this feature? any other advice you can offer about calling/receiving calls from US would be great. Like getting a US based number and having it forwarded to Morocco… Unfortunately, Skype doesnt offer services in Morroco for a local calling number which would have been ideal. Are there any other providers you know of? Google Voice has the option to have a US Number or a redirect. I’ve used it in the past. Thank you for this! Super helpful. I plan to be in Marrakech for the first time this January and despite having lived in Malaysia my entire life I’m still worried about religious customs in Morocco. I was raised a Muslim – do you happen to know if I’ll be treated differently if they found out, as I’ll be traveling alone? In case they expect me to behave a certain way or travel with company or a husband. There are still cultural differences between Islamic countries and I have to say, we are a little more relaxed in Malaysia (unless you’re outside the city) but that’s largely because it’s only 60% Muslim. No I wouldn’t worry at all. 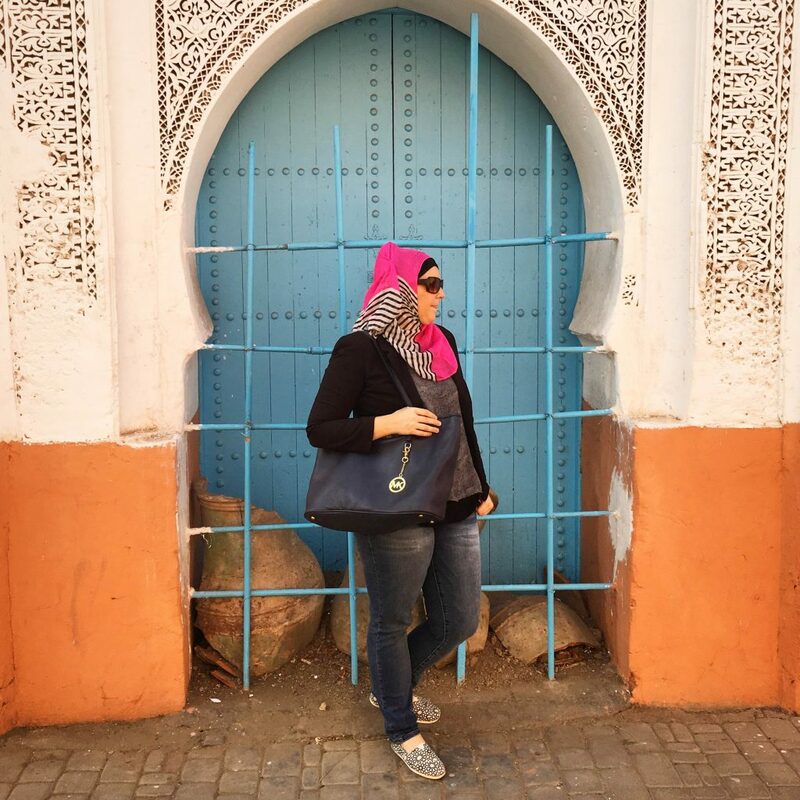 Morocco is very open minded and there are many, many women who travel alone here every year. Have a great time! Great list! I’ve only been to Morocco once so definitely not an expert. I have to say about #4, I wasn’t annoyed at all but rather surprised. Our riad was right next to a mosque and I didn’t know anything about the very early prayer. It scared me until I figured out what it was. Just totally unexpected, so that’s a good one to make tourists aware of. Also, I had no idea that drones were illegal! 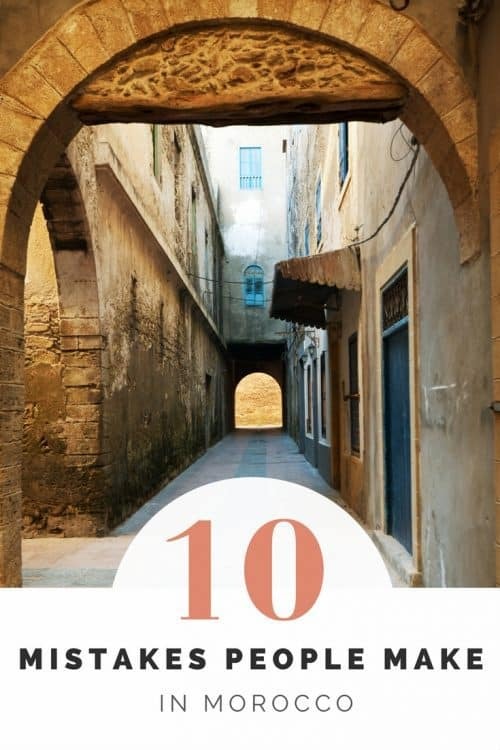 Yes it can be a surprise – it’s always interesting to me to hear stories of people who ask their riad hosts to “ask the mosque to turn down the volume.” Makes me wonder if they do the same for church bells! I think stupid is a bit harsh but perhaps just not well informed.